Partnerships have been prevalent among businesses since a long time. The world is aware of the numerous benefits it brings to the table in terms of profit, cost and competitive advantage. Partnership does not necessarily mean collaboration among organizations. It can be anything between small suppliers of computers to big companies providing servers. It is all about partnering and working in respective areas to achieve a common objective that benefits each side. Partnership includes sharing of resources, responsibilities, risks and competencies. Why partner with IT Company? IT companies have continued to flourish over the past decade. According to Gartner, IT investments in 2013 will be around 3,766 billion US dollar, which is a 4% increase from 2012. With this alarming growth rate, the possibility of attaining success on partnering with IT companies is ubiquitous. Moreover, partnerships allow you to render continuous growth and improvement. By sharing you can direct your resources to work on areas that directly affect the growth of the organization. Partnering in a way works on 80/20 principle, where 80% results come from 20% effort. This implies that you must be selective and identify where 20% effort can foster 80% returns. Rather than striving for good performance in many areas extend your capabilities for excellence in few key areas. The present economy is largely driven by knowledge and has transformed methods of businesses. Instead of relying on assets and infrastructure, businesses are more focused on increasing connectivity across intangible channels to fulfill various objectives. In the past, businesses strived hard to build moats against competitors, but today they are building bridges. Barriers between firms were solid and absolute, and now they have become impermeable. 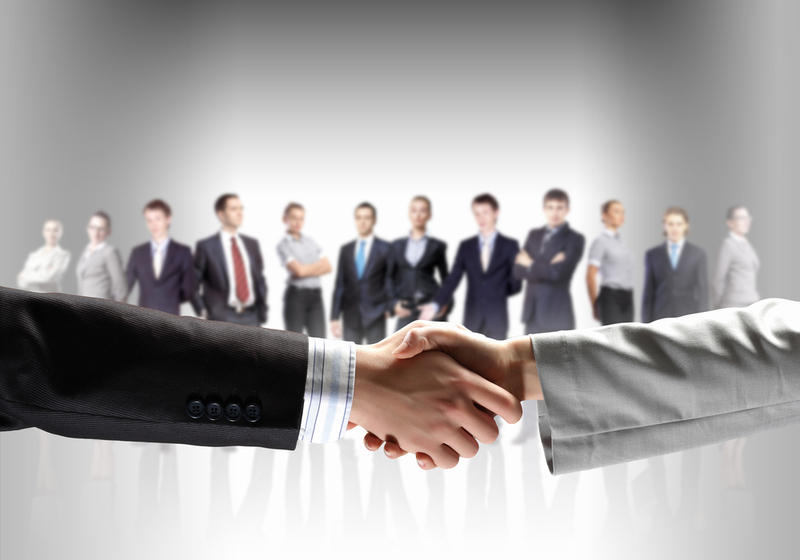 Today partnership has become the major driver of business success. Partnership is helping individuals and organizations develop a sense of responsibility and trust on either side. Trust is the core aspect of the rapidly changing economy. With a partnership trust is being developed. Considering this as the foundation, the teams and companies are ready to share the technical expertise and achieve synergy. This works as an informal contract without being rigid, partners are able to work freely in the direction of fulfilling common objectives. As the focus of IT firms is shifting from legacy systems to mobile, strategic alliance is playing a key role in managing this change. While the companies are undergoing this transformation, strategic alliance can enable businesses to add value to their repository of knowledge and operations by partnering capital, resources, market and people. Teaming up with others compliments the present strength of the resource and boost growth quickly. During this process companies save a lot of time, investment and the need of having to develop things from scratch. Partnering frees them up for focusing on core businesses and innovation. Joint venture is another key element of partnering organizations. The projects can be co-owned with an equal share in terms of profit and loss. There are accountable reasons for partnering with IT company such as skills, resources, technology, expertise and cost factor. There are different models those allow you to successfully partner with IT firms to leverage the benefits. Affiliate model can help individuals or businesses having a visible presence on the internet and massive social network. In this model, partnering is mainly for promoting and marketing the IT Company. You have to place the banners of the company on your blog or website. The company provides the necessary codes and banners advertising their product and services. This gives the company a platform to promote its business and you an opportunity to earn. In case, you don’t have blogs or website, you can directly refer the companies to clients. Doing this will fetch you commission for the projects coming through this channel of promotion. This is the most popular partnering model for IT companies. It has numerous benefits such as cost reduction, availability of expertise, quality, timely delivery of projects, and transparency. Resources, project completion, won’t be the concerns bothering your business. You just have to partner with a reputed IT outsourcing company and it will work as an extension of your business. This model helps you to focus on acquiring new customers, and develop long term strategy for the future. It guides you to achieve your business objectives. It helps improve your visibility on the global stage and enhance your brand image. It is impossible for businesses to have sales representative in every part of the globe. Under these circumstances, you can partner with the IT Company and become the sales representative. This helps the company to reach its potential customers without geographies limiting its reach. In turn, the company pays you for your efforts of marketing in representing the company’s products and services. This model works perfectly for small firms looking to utilize their resources. You can work as a branch for the company. It does require you to fulfill certain parameters such as expert resources, infrastructure and assets. The companies give you projects and the revenue generated is shared as per the contract. Partnership with an established IT company surely affects the overall work efficiency and productivity for you as an individual or as an organization. It streamlines and lays down the foundation for your success.